Vietnam is a wonderful and amazing country in Southeast Asia with a lot of interesting things for traveling. Besides imposing landscapes, tourists can admire the famous Vietnam national park. Nam Cat Tien forest is about 160 km from Ho Chi Minh City, located in three provinces of Dong Nai, Lam Dong, and Binh Phuoc. In order to get to Nam Cat Tien, you go along National Highway 1A to Dau Giay intersection, turn left along Highway 20 (the way to Da Lat) about 58 km, then go to Ta Lai crossroad, turn left and continue about 24 km to Nam Cat Tien. This place attracts tourists like the feeling of being immersed in nature or adventure to find a peaceful place with rich flora and fauna. Arriving in Nam Cat Tien, you can choose to stay as a tent with tent rental price ranging from 80,000 VND to 200,000 VND. 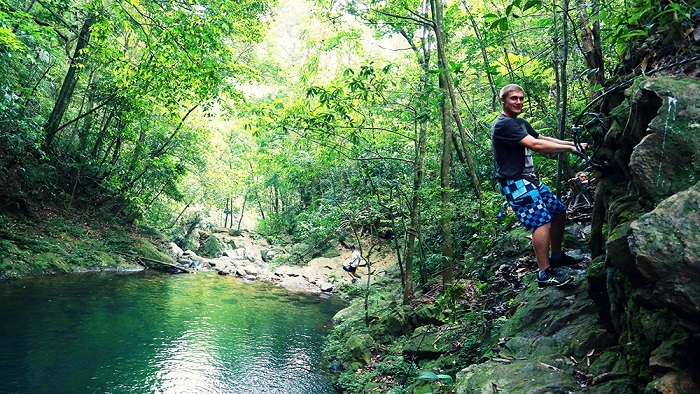 The activities which you can enjoy in Nam Cat Tien are mountain bike riding, visiting Ben Cu rock rapids, botanical gardens, Bau Sau, waterfall route of Parrot Mine or watching animals at night. When going to Nam Cat Tien, you should bring long-sleeved clothes, dark colors, soft hats, socks, flashlights, raincoats and etc. to protect yourself from insects in the forest. Nui Chua national park located in the Northeast of Ninh Thuan province in Ninh Hai district. With an area of nearly 30,000 ha and a length of 57km, Nui Chua has a typical drought forest ecosystem rarely seen in our country with many rich and diverse organisms. Although there is little rain here, there is a hanging lake all year round with clear water and many big streams like Dong Nha, and Kien Kien never runs out of the water. This place of forest and sea is very suitable for picnics because when visiting the place, Amidst the quiet space that preserves the glamorous wild beauty, you will be struggling in the cool water, admire the many beautiful poetic scenes, adventure on the distant cliffs on the beach or explore the natural caves beautiful course. If you set up a tent to camp overnight at Mount Chua at the right time, you can also see the sea turtles lay their eggs. Bach Ma national park belongs to Thua Thien Hue province and far Hue city about 40km. Before becoming to the national park, Bach Ma is focused by biodiversity resources of many rare and precious animal and plant species. For those who like to go back to nature, love the wild, simple, and quiet, Bach Ma is truly a treasure which likes a beautiful girl made tourists falling in love with her beauty. Furthermore, not only diverse in animals, this place attracts tourists by the green vegetation with wild and beautiful flowers. Cuc Phuong national park located three provinces of Ninh Binh, Hoa Binh and Thanh Hoa which is known as the first nature reserve in Vietnam. Furthermore, this is an attractive destination for domestic and foreign tourists about the diversity of species in the forest ecosystem and beautiful natural landscape. Therefore, there are a lot of tourists wanting to visit the place each year, especially in summer. When visiting the place, you can admire rare animals as well as discover beautiful caves such as Son Cung cave and Pho Ma cave. 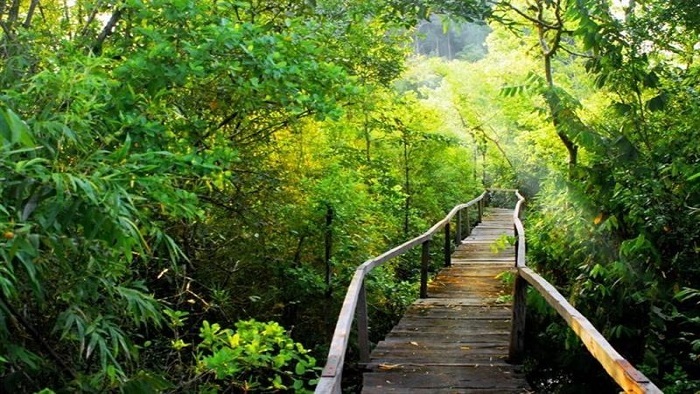 Furthermore, when discovering Cuc Phuong National Park, you will be an opportunity for you to learn the features. The typical culture of some ethnic minorities living in the past three provinces is the stilt houses, rice-making mortars, brocade weaving frames and etc. 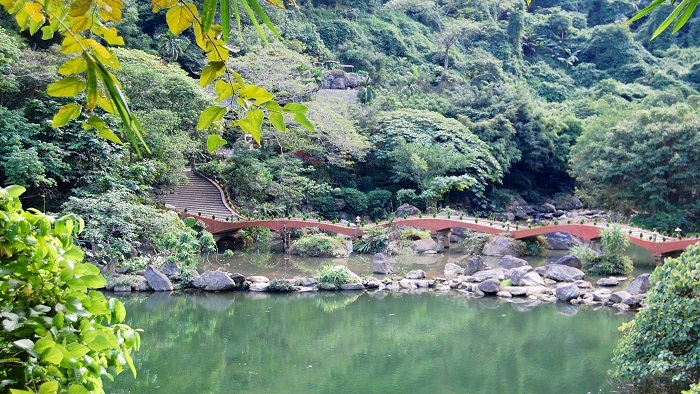 Ba Vi National Park is an attractive tourist destination near Hanoi. If the noisy, and stressful of modern life makes you feel tired, the trip to enjoy the fresh air and feel the peaceful green forest space will surely help you regain your spirit and new energy. Visiting Ba Vi National Park is an opportunity for you to crept through forest trees, and finds the wild character of nature. You can explore the hidden waterfalls in the mountains, or admire the clouds covered like the fairyland on the top of Bangkok, or go to the animal sanctuary, watch colorful birds and visit the medicinal garden. with rare plants. With a cool climate, around April - October is the best time to travel to Ba Vi which is suitable for sightseeing, picnics, and camping. Especially from mid-November to early December, you can come here to watch wildflowers. When talking about the wonderful and must-see national park in Vietnam, tourists can not miss out Ba Be national park. Ba Be National Park is located in 5 communes of Nam Mau, Khang Ninh, Cao Thuong, Quang Khe, Cao Tri in Ba Be district, Bac Kan province. The national park is 50 km from Bac Kan town and 250 km from Hanoi to the north. 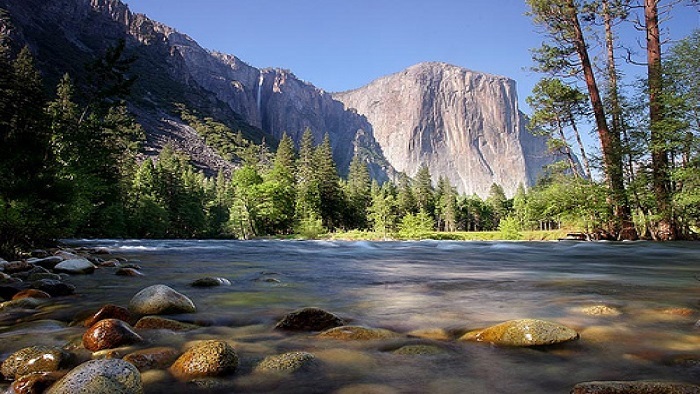 This place is an ideal ecotourism destination with interesting landscapes and biodiversity. Coming to Ba Be Lake, everyone wants to come to Tien Pond. The name "Fairy Pond" was originally associated with the legend of the hunter while passing Fairy Pond was fascinated by the beautiful beauty of the fairies bathing in the pond. Fairy Pond is located at the corner of the third lake of Ba Be Lake, a small lake located in the middle of the valley of primitive forests, with interconnected underground circuits between Tien Pond and Ba Be Lake. This is the unique feature of Tien Pond, which is also home to many aquatic plants and animals, as well as other features of Ba Be National Park. When visiting Phu Quoc island, tourists can not miss out famous Phu Quoc national park. Phu Quoc National Park was "launched" in 2001, located in the northern island of Phu Quoc and accounts for about 70% of the island area, more than 31,000 hectares. Within its area, Phu Quoc National Park "owns" three large mountain ranges on the island: Ham Ninh range, Ham Rong mountain range and Ganh Dau range with 60 km of beautiful coastline. Therefore, when visiting the place, tourists will have new and special experiences. Hope that after the post, tourists will have useful information for traveling to Vietnam. If you need more information about traveling, you don’t forget to visit our website to get more information.